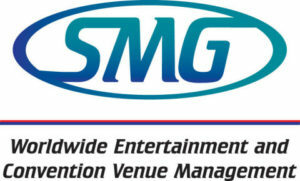 AEG Facilities, the venue management subsidiary of AEG, and SMG, an Onex-owned venue management company, have signed an agreement to merge and operate as a new, standalone global facility management and venue services company called ASM Global. Onex and AEG’s subsidiary will each own 50 percent of the company. The transaction, which is still subject to customary closing conditions and regulatory approvals, is expected to be completed later this year. ASM will be headquartered in Los Angeles, with key operations based in West Conshohocken, Pennsylvania. The new company will operate more than 310 venues across five continents. “It is an honor and privilege to be a part of this exciting new company, which brings together the two organizations where I have worked for the bulk of my professional career,” said Bob Newman, current president of AEG Facilities and former regional vice president at SMG. “This transaction draws upon the depth of our combined talent and resources to create an organization that will deliver value and long-term success, as well as innovative services to our clients around the world. Newman will be named president and CEO of ASM following the transaction. Westley will serve on the board of directors and actively support the merger integration.